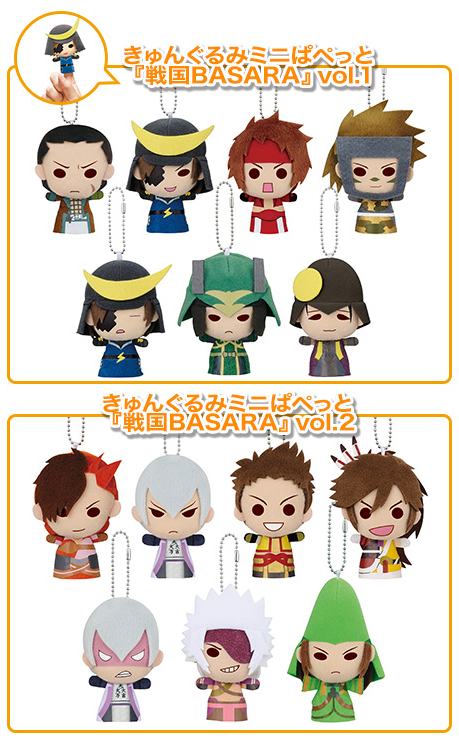 I guess the recent prize campaigns have been successful as Capcom have announced that there will be yet another range of adorable Sengoku Basara goodies next year! The prizes this time will be two sets of seven 'kyun-gurumi' mini puppets, which will appear in Banpresto amusement arcades across Japan from late April 2015. The first set includes Kojuurou, Yukimura, Sasuke, Katsuie, Matabee and two versions of Masamune, while the second set, which arrives one week later, includes Sakon, Ieyasu, Keiji, Motochika, Motonari and two versions of Mitsunari. I think Yukimura's facial expression is my favourite, though some of the others come close. It's a shame that game centre prizes can be rather difficult for foreign fans to obtain. According to some detailed leaks from the next issue of Weekly Famitsu magazine, upcoming PS3 title Tales of Zestiria will offer DLC swimsuits, character costumes from earlier Tales games, costumes from the Ao No Exorcist (Blue Exorcist) series and 'attachments' from Sengoku Basara 4. The leaks seem reliable and one specifically mentions Masamune, Katsuie, Yukimura, Mitsunari, Sakon and Ieyasu as the Sengoku Basara 4 characters who will feature in the campaign. For the benefit of those who don't play the Tales games, 'attachments' are in-game decorations which can be equipped by the characters. I'm looking forward to seeing how they'll look! Update (16:25): Well, I didn't have to wait long to find out. Nanahashi kindly directed me to Twitter user @yinyi982 who has posted a picture showing the attachments. They're even cuter than expected!